Bill supported by Gov. 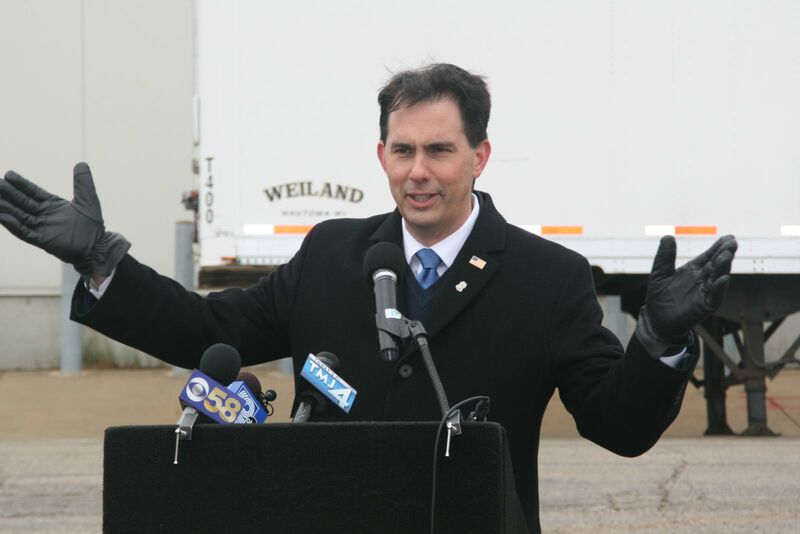 Walker won’t effectively cover pre-existing conditions. As the November elections approach, a lawsuit challenging the constitutionality of the Affordable Care Act (ACA) has become a source of worry for a number of politicians who have backed that litigation. Some of those politicians, such as Governor Scott Walker, are trying to counter one of the chief concerns about their opposition to the ACA by pledging that if a judge strikes down the federal law, they will take quick action to protect coverage of pre-existing conditions. The problem with the promises to protect or replace that part of the law is that the specific proposals that have been offered fall far short of ensuring continued coverage for the large share of Wisconsinites who have pre-existing medical conditions. I’ll explain the shortcomings of those proposals, but let’s first look at how coverage of pre-existing conditions became a significant issue on the campaign trail. If the Texas judge strikes down all of the ACA, that would cause a huge increase in the number of uninsured Americans, as well as the loss of a broad range of ACA benefits for people who retain their insurance. However, most of the recent attention to the lawsuit has focused on the risk to the parts of the bill that guarantee coverage of pre-existing medical conditions. That’s partly because of a letter by Attorney General Jeff Sessions, in which he said that the Texas judge might not strike down the entire law, but would at least have to strike down the parts relating to coverage of pre-existing conditions. As the risk to that part of the law began coming up in election campaigns, some of the opponents of the ACA promised to support legislation protecting coverage of pre-existing conditions, although their rhetoric has yet to be matched by their proposals. The biggest problem is that the measures they have endorsed would block only one of the many strategies that insurance companies commonly used prior to the ACA to avoid covering pre-existing conditions. The recent proposals are like fighting flooding by putting sandbags on one side of your house, but not on other sides that are equally at risk from floodwater. An insurer would have to give you insurance if you have a pre-existing condition, but it could exclude any services associated with your pre-existing condition. This would make protections for people with pre-existing conditions a bit of a mirage. Governor Walker announced this month that if a court strikes down the ACA, he will call a special session to take up a bill to require coverage of pre-existing conditions. The Governor has not said specifically what the bill would do, but he appears to be referring to a bill that he endorsed early this year, AB 365. Unfortunately, that proposal is riddled with loopholes. As I wrote after the Assembly approved AB 365, one fundamental problem is federal law precludes states from imposing requirements on employers who self insure, and those corporations account for most employer-sponsored health insurance coverage in Wisconsin. As a result, if the ACA’s consumer protections are ended by Congress or the courts, we could return to a time when many employer-sponsored plans impose waiting periods of a year or more for coverage of any preexisting conditions. It does not prevent insurers from dropping coverage for health care services that under the ACA have to be covered, such as mental health care, prescription drugs, and maternity care. AB 365 does not preclude the practice of putting caps on how much an insurer will reimburse. For example, a cancer patient requiring chemotherapy could find early in their treatment that they had reached the limit on what the insurer would pay for the lifesaving drug. In contrast to the ACA, AB 365 does not contain any subsidies that make insurance affordable for people who have pre-existing conditions and have to buy their insurance through the individual market. The lawsuit being considered by a federal judge in Texas is not the only threat to coverage for people with pre-existing medical conditions. Another substantial problem is that the Trump administration recently finalized a rule that vastly expands the definition of short-term health plans, which are exempt from the current consumer protections. Wisconsin could remedy that by putting its own limits on the definition of short-term plans, but the Governor has yet to show any inclination to do so. Regulating short-term plans would do much more than passing AB 365 to protect needed health care for people with pre-existing conditions. However, the single best way for a Governor or Attorney General to show that they truly want to protect people with pre-existing conditions is to withdraw from the pending lawsuit.